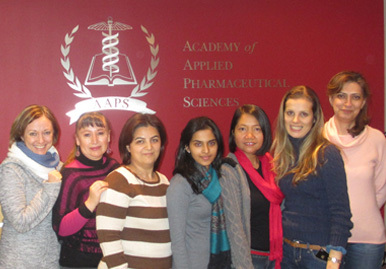 AAPS Facilities |Academy of Applied Pharmaceutical Science (AAPS) Inc.
Our spacious pharmaceutical lab allows students to gain the hands-on experience they need in running laboratory equipment and perform tests on pharmaceutical raw material, in-process material and finished products. The laboratory is equipped with latest audiovisual equipment and fully automated HPLCs running with Empower and Millenium software as well as Dissolution, IR, UV, Auto-Titrators, Karl Fisher, Friability and Hardness Testers. 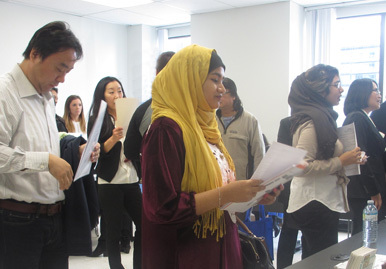 The lab allows plenty of space for students to maximize learning and perform tests independently preparing them for gainful employment with the pharmaceutical industry. The newly built analytical chemistry lab includes instructional area, instrumentation area, support space, and preparation room storage. Cutting-edge technology encourages hands-on practical experiments and motivates students to incorporate what they have learned into their careers. Special features of the modernized lab include a sample preparation station, wet chemistry testing station, physical chemistry testing station, HPLC, UV, IR, Autotitrators and pH meters. Students will be able to use this equipment independently to master instrumental and wet chemistry analysis.